This is undoubtedly the question that continued baffling the minds of the apostles after Jesus placed a child in their midst to resolve a theological argument they were having about who was the greatest in the kingdom (Matthew 18:3-5). The unprecedented action of Jesus using one of the most marginal members of society (a child) as a spiritual object lesson about the kingdom in parabolic fashion left the disciples (and us) with the uncomfortable task of digging around to discover the spiritual truth he alluded to. I say, “alluded to,” because Jesus was not specific about which characteristic of the status-less child would bring salvation to adults by revealing how to enter the Kingdom of God. As a missionary practitioner I have spent the last twenty-five years involved in children’s evangelism and spiritual nurturing while re-reading the Matthean pericope along with the other child narratives of Jesus in the New Testament in search of their deeper meanings. I have found from my own observations as well as repeated readings of the scriptures that there exists a disturbing conspiracy among grown-ups against the spirit of childhood. The French novelist Georges Bernanos, sums it up well in his comment, “God had said to cardinals, theologians, essayists, historians, novelists, and everyone: “Become like a little child.” Instead, through the centuries, powers such as those he mentioned “went on telling the spirit of childhood which they had betrayed: ‘Become like us.’” It is difficult for us that are involved in education to admit that it is far more likely for a theology of childhood to arise from the practical experience of being with children than from exposure to the current Bible school educational environment. That’s good enough for a basic introduction to the issue. Let’s attempt to define the terms a little. 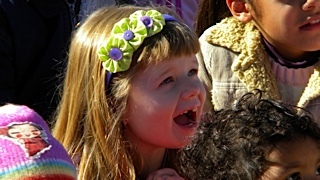 According to the Child Theology Movement (http://www.childtheology.org), Child Theology is an invitation, “to take good note of the child in the midst as we think about, for, to, from and with God in Christ. As we do that, we expect our theology to change for the better. In Child Theology, we embark afresh on the journey with Christ into the open secret of God in the world.” In other words our theology should be developed with the imaginary ‘child’ that Jesus placed in our midst always before us. The Child Theology Movement summarizes this rubric in their motto, “All theological reflection reformed with a child in the midst; All Christian child-related activity informed by theological reflection.” If only this were the case in our Bible schools. But this does not naturally occur in the course of a student’s journey through the current offerings of Bible school curriculums. Ironically, The purpose of having Assembly of God resident Bible schools is to help prepare Pentecostal ministerial candidates to continue the outward-focused mission of the Church as established by Jesus (John 17:18; 20:21). 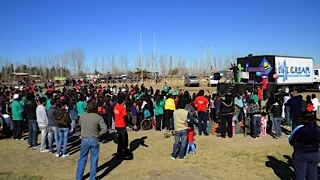 The Bible school stage of spiritual development must therefore include extensive exposure to a historically and biblically informed theology of childhood based on the child narratives of Jesus in order to be relevant in the context of the largest population bulge of children and adolescents in human history that is concentrated in the Global South which includes Latin America (Barna, Bush, Dempster, Jenkins, Klaus, Petersen, Pocock, Van Rheenen, et. al.). I find myself interjecting principles of a theology of childhood along with the course offerings of the Plan Básico Curriculum because the curriculum, good as it is, only gets the job half done. In my opinion our Bible schools (as well as the local churches) are operating without a bonafide theology of childhood. If this situation is allowed to continue we will not only miss the boat in terms of sustainable church growth, but we will, as George Barna has said, “…miss the entire ocean!” I am plagued by a persistent suspicion that in spite of the recent move of God, the Pentecostal Movement in Argentina has unknowingly slipped into a culture of neglect regarding the spiritual formation of children. If we do not successfully correct our tendency to train students to primarily minister to adult congregants we will perpetuate the unacceptable theorem that children do not need to be perceived as part of the unreached – nor as the Church’s most crucial responsibility of investment in spiritual formation. That’s enough of the bad news – now, for some of the good news. There is a sovereign awakening taking place for the first time in a long time that places the child in the center of theological inquiry. Seminal works on the contours of a theology of childhood have been appearing over the last fifteen years. Also, an avalanche of promising literature dedicated to the topic of child spirituality has recently emerged from a series of international conferences that began in 2000 in Chichester, England. The resulting discussions from the Chichester Conference and subsequent, informal NAPCE (North American Professors of Christian Education) Conference in Toronto, Canada led to the first U.S. hosted conference in June 2003 at Concordia University in River Forest, Illinois. A collection of papers from that conference was published the following year in Children’s Spirituality: Christian Perspectives, Research, and Applications edited by Donald Ratcliff. These first fruits of what has become a triennial conference open much new ground regarding the definitional, historical and theological issues related to the spiritual development of children. I have used many insights from this book’s essays and dissertations to supplement the systematic theology classes offered at the Bible school in Cordoba, Argentina. My students have been deeply challenged by the material to rethink their assessment of the spiritual value and vitality of the children in their respective churches and families. The field of child spirituality is a relatively new one, and concepts and definitions are still emerging. That fact alone is justification to insure that the research findings are shared with the current generation of Christian workers in our Bible schools. These new Christian leaders will be among those responsible before God for overseeing the spiritual formation of the largest population of children in human history. The 2006 conference (also held at Concordia) condensed the offerings of several seminars into a second book, Nurturing Children’s Spirituality: Christian Perspectives and Best Practices edited by Holly Catterton Allen (2008). This important volume broadens the discussions related to child spirituality to embrace a holistic, multi-disciplinary approach to understanding children and their spiritual development. Several key chapters challenge the current, often reductionist definitions of spirituality used by churches (and our Bible schools) that have been conditioned by a generation of cognitive development theories. Nevertheless, these conferences are forging ahead, into new territory to map out a working definition of child spirituality that promises to transform the way the Church views, receives, and nurtures children. I personally want to see our Bible schools be in the vanguard of these vital developments. The goal is not just to offer cutting edge research findings to our students, but to help train future leaders to embrace a style of servant leadership for those members of the Church and society who need it the most – the children. And to enhance a church-planting methodology that places the child at the center of strategy and motivation for evangelism and spiritual nurturing. 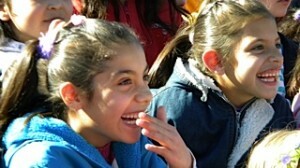 I invite the readers of this article to consult the web site (www.childspirituality.org) and browse through the posts. I would welcome any comments or insights regarding your own thoughts on the subjects of child theology or child spirituality. 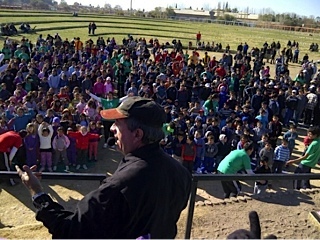 Mark Kinney, D.Miss candidate – AGTS, Vice Director of IBM (Cordoba Bible School), Director of Global University for Argentina, Children’s Evangelism/Church Planting veteran. Cited in Marty, Martin E., The Mystery of the Child, (Grand Rapids: Eerdmans), p. 89. Barna, George, Transforming Children into Spiritual Champions: Why Children Should be Your Church’s #1 Priority, (Ventura, CA: Regal Books), p. 12. Cited in Rebecca Nye, “Christian Perspectives on Children’s Spirituality: Social Science Contributions?” in Children’s Spirituality: Christian Perspectives, Research, and Applications, Donald Ratcliff, ed. (Eugene, OR: Cascade Books, 2004), 105. GREAT article Mark! Your heart and passion shine! 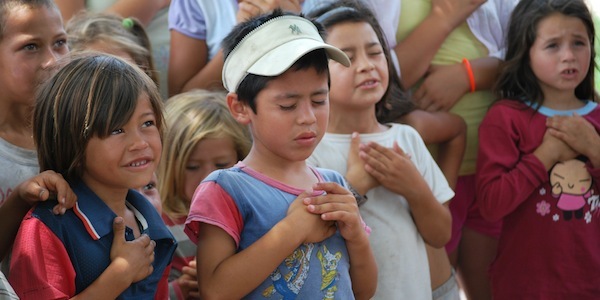 Good news… SEC just approved a NEW children’s ministry major for Plan Basico (Spanish). This should be available online in the new few weeks. If any of our readers would like it earlier, please post here and we’ll work on making it available sooner. One of our greatest challenges putting together this new “especializacion” was finding adequate textbooks. I would be VERY interested in hearing your top 5 book recommendations IN SPANISH for this new specialization. My research has been in English because the literature field is so recent. Barna’s book on spiritual champions is in Spanish, but this is more at the popular level. I have not been able to find the more scholarly books available in Spanish. I did purchase and download an “Echoes” Journal, Vol 14, No 2, 2011 that is a tribute to Sofia Cavalletti. This particular issue was translated into Spanish. I am making it available to our Bible school library. Sofia Cavalletti is known for her pioneering work of allowing the Holy Spirit to be the primary teacher of children as they encounter God using their own innate emotional intelligence in the classroom environment. I would like to see “The Mystery of the Child,” by Martin Marty in Spanish. Other titles that would be useful if available in Spanish are: “The Child in the Bible” and “The Child in Christian Thought” both edited by Marcia Bunge. “Graced Vulnerability: A Theology of Childhood,” by David Jensen would also be an excellent textbook, but I do not believe it has been translated yet into Spanish. Perhaps someone else knows better than I do what is available in Spanish? Rosemary – that’s Rodney Boyd – sorry. It is evident that you have meditated on the topic quite a bit. Thanks for opening our eyes and for challenging us to think more Biblically, not only about children but also about the church and ourselves. I would like to see your ACLAME article translated and made available to as many ministers and Christian educators as we can reach.